The arc of the moral universe is long, but it bends toward justice. MLK’s famous quote just may have a poster child in Homer Plessy. 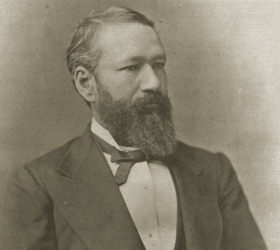 Homer Plessy was the first plaintiff to legally challenge the de-facto segregation of the post reconstruction period of US history. Ultimately, the supreme court would rule against him in their famous ‘Plessy vs. Ferguson’ ruling that legalized state-mandated segregation as long as the separate facilities for whites and blacks were ‘equal’. In practice, they were anything but. This atrocious ruling set the stage for the Jim Crow laws that would roll back almost all the post-Civil war gains that had been made by people of color. Plessy and his compatriots who had fought for years to improve the lot of people of color did everything within their power to bring an end to state sanctioned segregation, but were undone by the Supreme Court’s decision. The arc of the moral universe is long, but it bends towards justice – in 1954, the segregationist laws were overturned. Homer Plessy never lived to see that day, but his work had been invaluable in leading to that day.